The conference committee plans content for the Annual Conference. Duties include speaker & awards selection and planning activities for attendees. 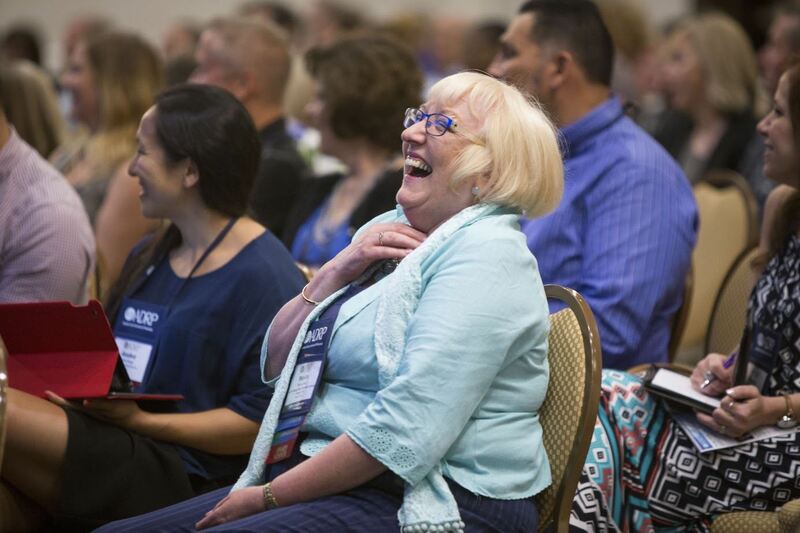 The ADRP Annual Conference is held in May and brings together about 400 professionals who work in donor recruitment, donor collections, donor experience and marketing/communications for blood and tissue donation organizations. This 3-day conference includes keynote speakers, breakout sessions offered in multiple tracks, round table discussions, workshops and a trade show. Learn more about the ADRP Annual Conference. The Conference Committee meets via teleconference every 6 to 8 weeks with committee member assignments distributed during the interim. Committee members are expected to attend a minimum of 75% of committee meetings and actively contribute on a sub-committee. Although committee members are not required to attend conference, attendance is encouraged to assist with onsite logistics and registration. One duty of the Conference Committee is to identify speakers who are both engaging and informative.